If a Richmond Virginia Roof Contractor tries to convince you that your 8-10 year old roof needs replacing because of black stains, you need to research and investigate roof cleaning. When you think of safe roof cleaning, use common sense and think non pressure ONLY. Wash It Clean follows approved safe A-R-C-A, RCIA and ARMA (Asphalt Roof Manufacturers Association) guidelines using NO-PRESSURE (Non Pressure) and special biodegradable detergents to remove those ugly roof stains caused by mold, mildew and algae. Many roof cleaning products contain high levels of sodium hydroxide, a potent de-greaser that has to be removed with a power washer and or so called low pressure (asphalt roof + de-greaser = di-saster). At Roof Cleaning Richmond Virginia 804-687-4960 we know a better, safer way. Our roof cleaning slogan says it all and it just makes SENSE, doesn’t it? So, if YOUR roof happens to be stained and dirty, what then? Read On…. Do you REALLY KNOW what’s EATING your Richmond Virginia Roof… kindly allow us explain in more detail? Based upon our OVER TWO DECADES of Roof Cleaning experience we are glad and more than happy to enlighten you to what’s really going on your rooftop. The black streaking you see on your Central Virginia Roof is called (GLOEOCAPSA MAGMA) which is very infectious, meaning it will transfer from one side of your roof to the other side or even from one house to another. The more there is the faster it will grow. 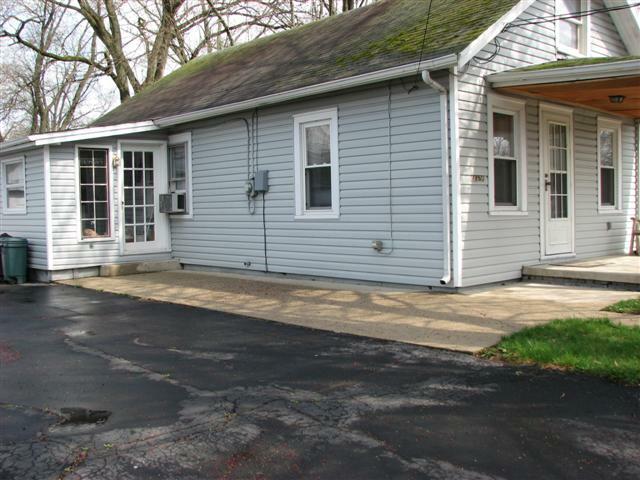 Although most of our Central Virginia Roof Cleaning customers are concerned more about the aesthetics or curb appeal, the hungry roof algae is actually eating away at the limestone filler in the asphalt roofing shingles. In time this Roof Algae will loosen up the ceramic granules that are providing ultra violet protection for your roof these ceramic roofing granules will begin to fall away much faster than they should, taking away years of the expected life of your roofing shingles. The dark growth also draws in more heat than the clean spots on the roof, which will also shorten the life of the shingle roofing. Curb appeal is another big consideration to anyone who may be looking to sell their house. A potential buyer may truly believe they will need to replace the roof for thousands of dollars, when in reality it could be taken care of by the home owner and Roof Cleaning Richmond Virginia 804-687-4960 for a small fraction of the cost of roof replacement. Roof Cleaning Richmond Virginia 804-687-4960 also offers and highly recommends regular roof treatments to keep the problem knocked down and your roof looking good! 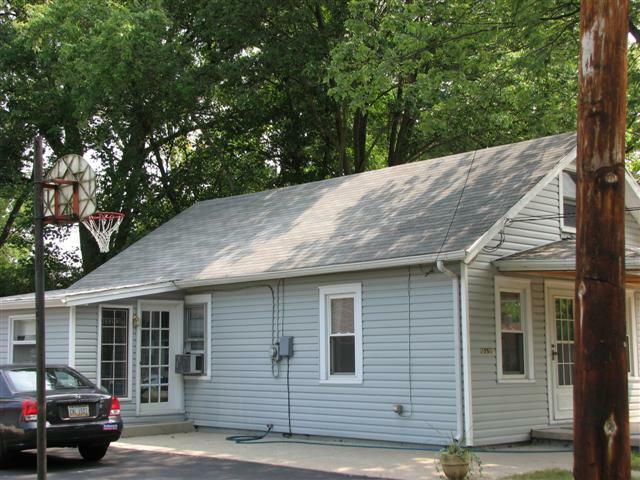 Roof Cleaning Richmond Virginia has done jobs from a small shed to an entire condo complex. Don’t be afraid your job is out of the normal roof cleaning scope. We also travel to clean roofs throughout Central Virginia. *Let Roof Cleaning Richmond Virginia safely remove those unsightly black streaks from your Asphalt Shingle Roof with our No Pressure Cleaning System. *Our Industry ARMA Roof Report and Roof Cleaning Institute Of America approved method leaves roof and property undamaged. 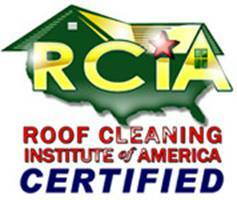 * Roof Cleaning Richmond Virginia 804-687-4960 is a BOTH a certified A-R-C-A and RCIA member. We have cleaned MANY roofs in Richmond Virginia for many years with great results. FREE Roof Cleaning DEMONSTRATION today! Roof cleaning is a completely different trade from pressure washing requiring different pumps, plumbing, hoses, nozzles, valves, chemicals, caution, knowledge, experience, skill, and insurance. Roof Cleaning Richmond Virginia 804-687-4960 has all of the necessary tools, and we have the experience from having cleaned many, many roofs since 1986. Please give Wash It Clean pressure washing, roof cleaning, and power washing Richmond Virginia a call at 804-687-4960 today!